This 3-Pack would be much cooler if Playmates wasn't such a cheap company. I hate to be down on any toy manufacturer, but as I've mentioned in the past, the huge difference between Playmates' promotional [prototype] images (mainly in paint apps) and the final product is so jarring that it just cheapens any excitement I could possibly ever have for their retail figures. 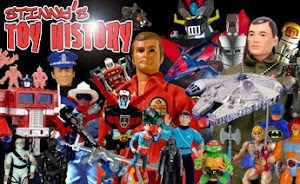 When I see what Playmates could be giving us (via their own promotional images) and then see the cheap, minimally articulated figures that end up on the shelves, it breeds a bit of contempt, I believe. But, like most companies, they could care very little about collectors and aim their products squarely at children and parents who will buy these figures regardless. Now that my usual Playmates rant is over (BTW, I loved Playmates in the 90's! 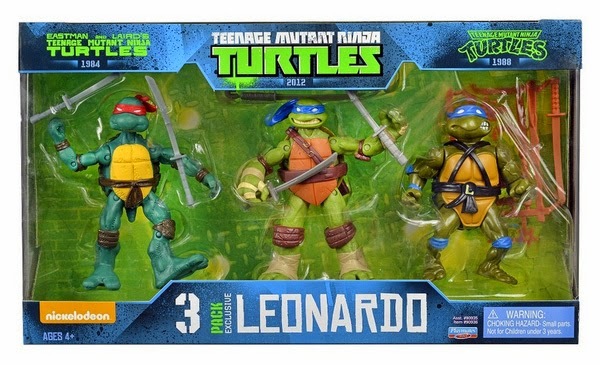 They were, for a time, my favorite toy company) you can take a look at these images of Target's exclusive Leonardo 3-Pack. 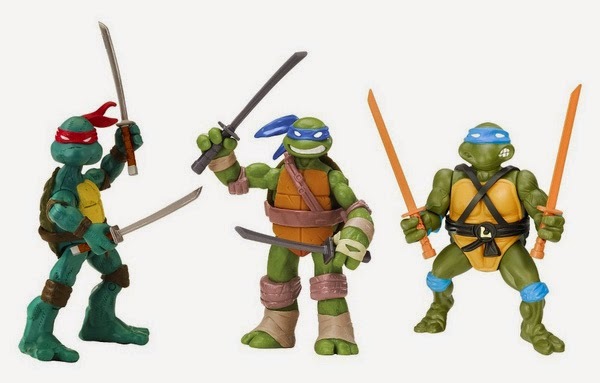 The set includes a remake of the original 1988 release, the new comic inspired figure and the more current Nickelodeon inspired version. 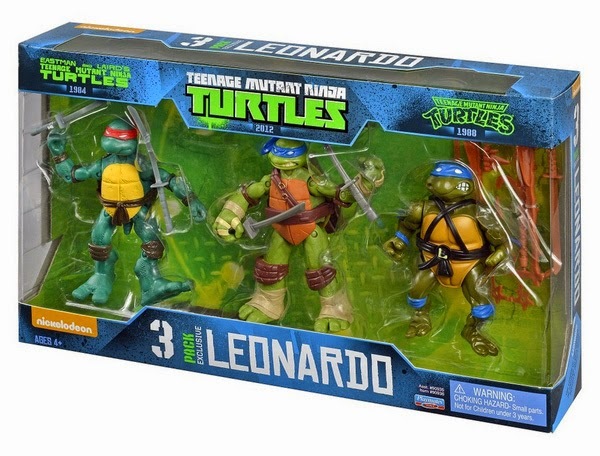 So far, it looks like Leo is the only figure with this set, but I'm sure if it sells well, the others will follow. Apparently, these are hitting toy shelves right now.